Apple has rejected a Steam Link app for iOS. The app, which operates as a LAN-based remote desktop function, would have allowed users to play games from their Steam libraries on their iPhone, similarly to the way in which physical Steam Link boxes allow you to play games from your PC on your TV. In a press release, Valve announced that Apple had previously approved the Steam Link app for release on the App Store on May 7, which was followed up by Valve’s official announcement of the app on May 9. The next day, Apple revoked their approval, citing business conflicts with the app’s guidelines that the team originally reviewing it for release had not realised. Why not enjoy Bathtub Geralt from the comfort of your own bathtub? 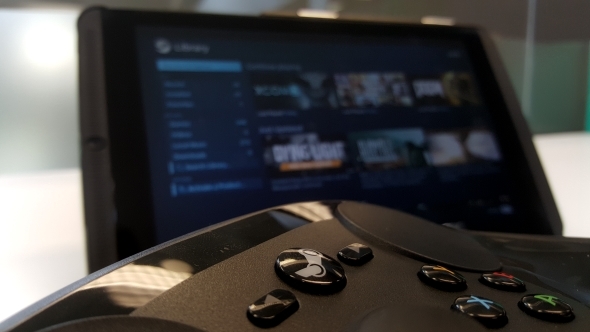 The Steam Link app lets you play some of the best PC games anywhere in your home. Provided you’re on Android. Valve appealed the decision, stating that the app functions as a remote desktop similar to many that are already available on the App Store, such as Moonlight. That appeal was denied, which means the app is blocked from release in its current state. Our Steam Link app preview found that it was perfectly functional (if a little unnecessary), so it seems that the rejection stems solely from whatever business conflict Apple has discovered. Valve says that they hope Apple will reconsider in the future, but did not make it clear what steps they would be taking going forward. The Android/Google Play versions of the app are unaffected and currently available.